In science, precision is key. That’s why our scientific refrigeration solutions meet the most precise temperature control requirements, and can be custom-designed to fit your specification. With 50 years of refrigeration experience, we understand the needs of the scientific community. Just ask our customers, who include blood banks, universities and pharmaceutical companies. Based in Sheffield, we provide innovative refrigeration solutions across the UK. Bradley Refrigeration can design, supply, install and maintain scientific refrigeration systems nationwide. Our customers work across various fields and specialisations. Get precision cooling for your labs, cold rooms and other facilities. Cutting-edge technology keeps you at the forefront of an ever-changing industry. 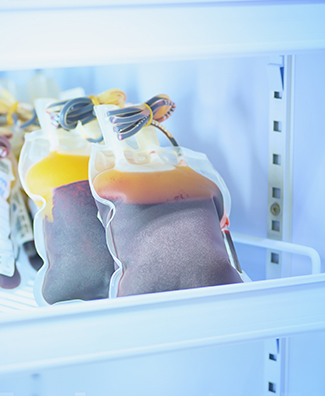 Having delivered precision systems for blood banks and pharmaceutical companies, we understand the importance of precise temperature control. If you have unique needs, we can provide a bespoke system that meets them. We offer close-control refrigeration solutions which can be adapted to include humidification and dehumidification capabilities. Whatever your challenge, our experienced team can find a solution. If experimentation is at the heart of what you do, our refrigeration systems can help you reach your next breakthrough. Our experimental chamber, constant temperature room and growth room systems can maintain the optimal conditions for your needs. We understand that you need to keep breakdowns to an absolute minimum. Our trained, certified engineers are on call 24 hours a day, 365 days a year. With Bradley Refrigeration, you can be sure any issues will be quickly and effectively resolved. For more information about our scientific refrigeration solutions, please get in touch. Call our team in Sheffield on 0114 236 9971 or email us to book a free survey.